Copenhagen curiously contains exactly zero three-star Michelin restaurants. I say curiously because Copenhagen is famously home to Noma – considered by many to be among the, if not THE best restaurant in the world. Despite this (or perhaps because of this – you never know with the French), Noma only has two Michelin stars… not that they care. 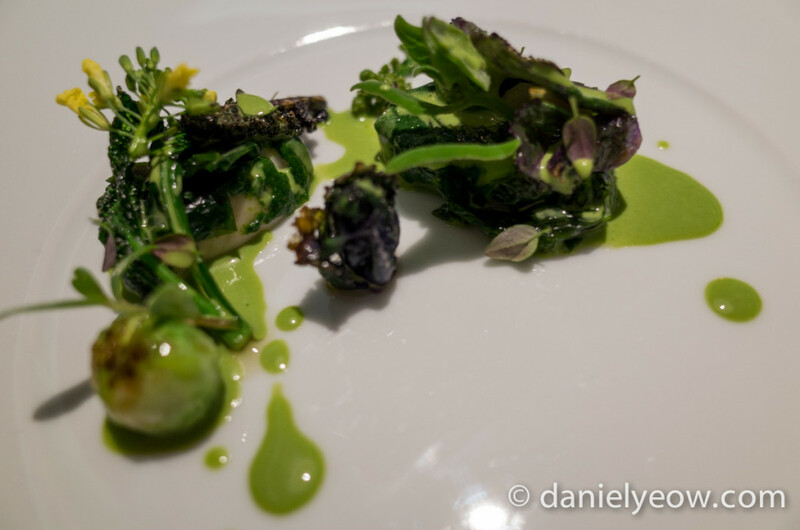 There is one other two-starred restaurant in the city, and it is Geranium. Situated in the upper levels of a football stadium, it is not a location where you would expect to find one of the nicest restaurants in a city with an increasingly active fine dining scene. But this thinking misunderstands the Danish culture. The Danes like their ‘nice’ things – Tivoli amusement park, the inspiration for Walt Disney to build Disneyland used to house not one, but two three-starred restaurants. When I asked a Danish friend why put such nice restaurants in a kid’s amusement park, she replied very matter-of-factly “but where will the parents eat?”. Like many restaurants of this calibre, once you step inside, you enter an alternate universe, contained inside a bubble that insulates you from the horrible real world (this is perhaps why I really like fine dining – I get to escape). Every detail of the venue is thought through and crafted in a way that only Danish designers can. The lighting is especially well-designed being subdued and yet still able to illuminate the tables to a level where one can usefully see what they’re doing (and take pictures). The experience is very personalised – I received on arrival a small envelope containing a copy of my menu for the day. The front of house staff discussed any preferences or dietary requirements with me, and helped craft the entire experience to be as pleasant as possible. 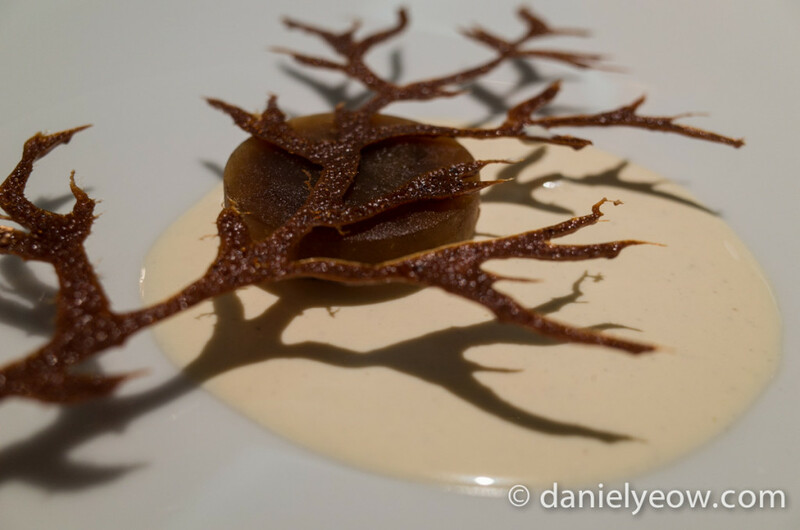 As one expects from a country obsessed with design, every dish had a certain aesthetic to it, and a beautiful one at that – on the night I was there the theme was the forest. Art on a plate which also happened to taste very nice. The cuisine takes cues from molecular gastronomy, and it is very nearly impossible to guess the ingredients of any given dish simply by looking at it. 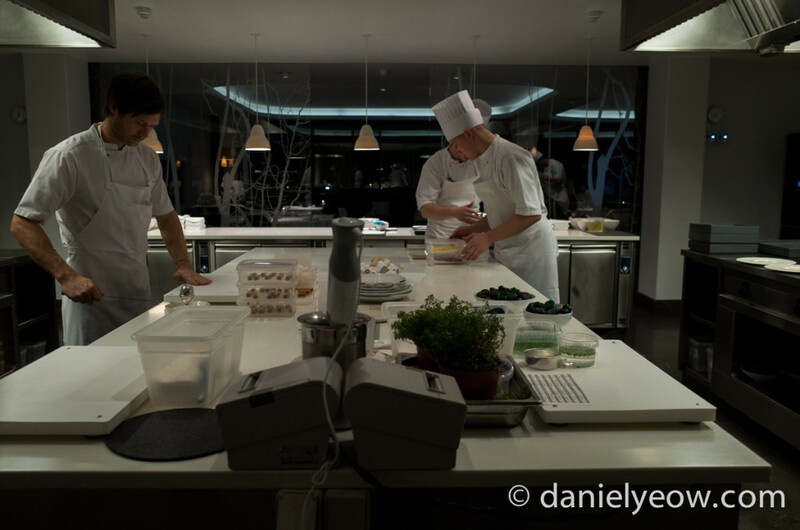 For reasons which I cannot confirm, but can probably guess, I often get tours of kitchens when I dine at restaurants like these. 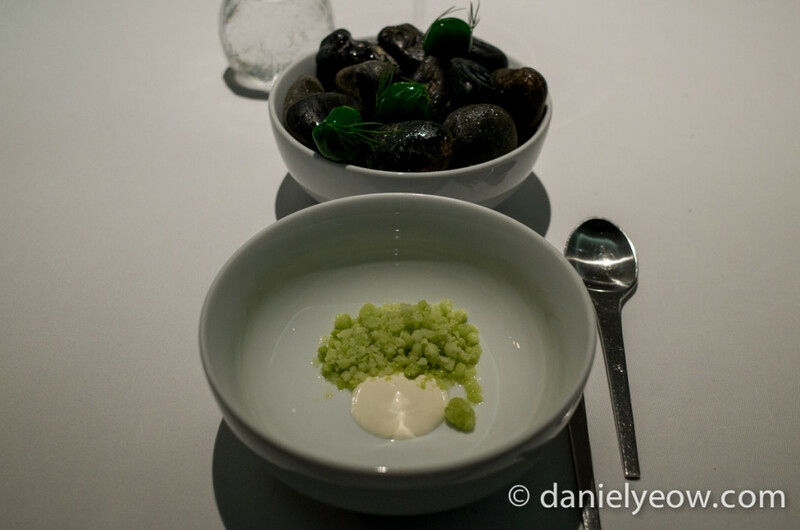 Indeed the last time I was at Noma we got given a pretty comprehensive tour by one of the chefs. Perhaps uniquely, Geranium as part of its dining service seats patrons in the actual kitchen for one of the courses while chefs work frantically around them. I felt a little bad that basically everyone would come through the kitchen at some point in the night and get in the way of things, but the shift in perspective certainly makes things interesting. 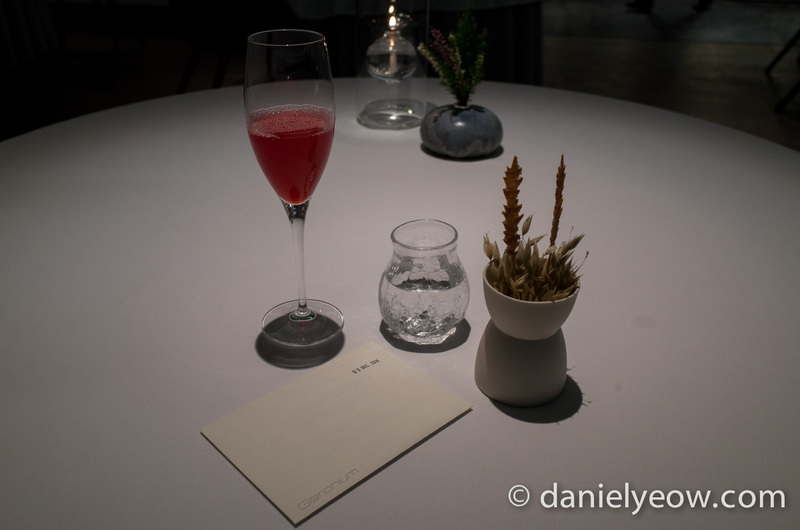 Also unusually, but beginning to become more common, Geranium offers matched non-alcoholic drinks for those who prefer not to have matching wines (for example, if you have to drive home). 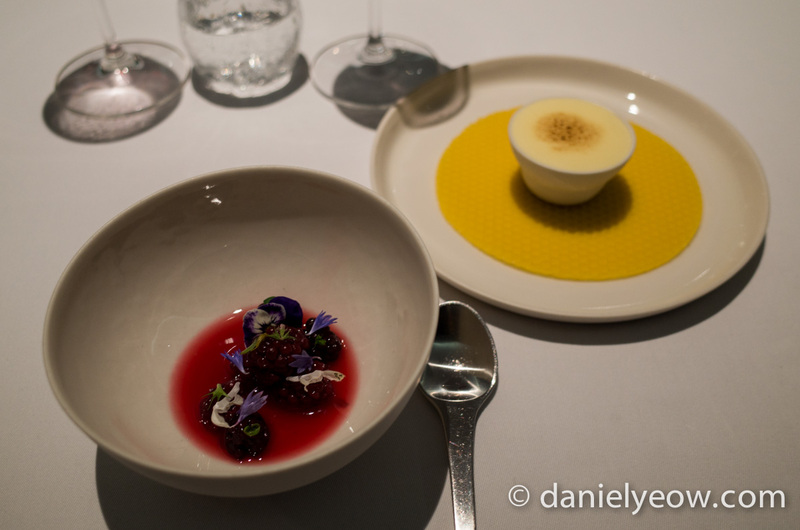 Strangely such a simple and obvious idea has only been available at two other restaurants I’ve dined at – Noma (Copenhagen) and Vue de Monde (Melbourne, and yes, that’s a grammatical error and not a typo). I had matching non-alcoholic drinks at Per Se in New York as well, but it wasn’t offered and I asked for it. From start to finish, through all 17 or so courses of artistic sculpture cunningly disguised as food, the senses were tickled but not overwhelmed and kept guessing. 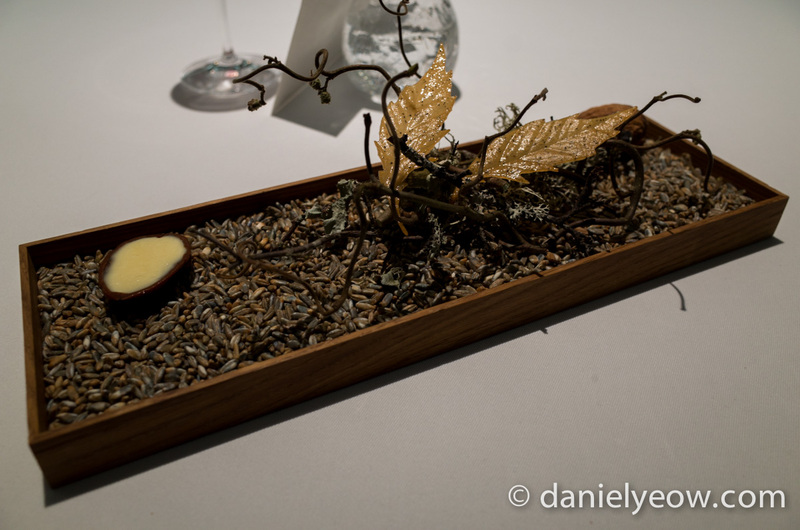 The dining experience was more like theatre than eating at a restaurant. The tastes themselves were brilliant, combining in interesting, surprising and subtle ways, and impressively, never clashing (which sometimes happens when you’re being very experimental). 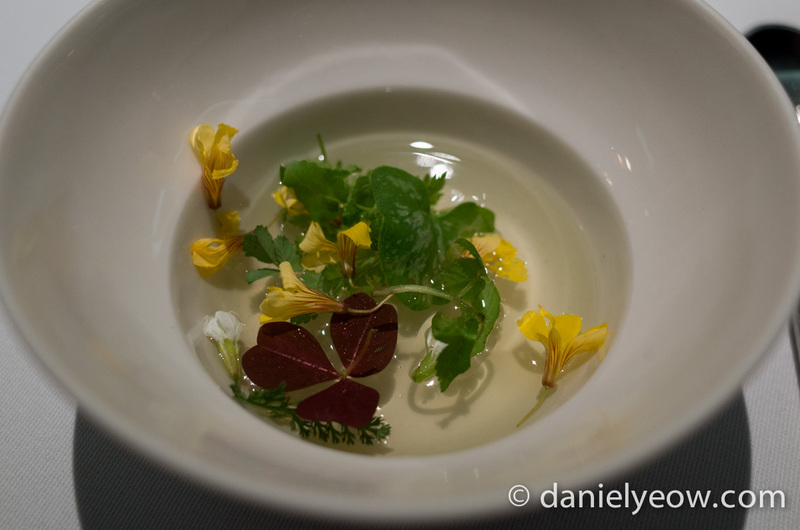 Being in the kitchen for one of the courses also brought home a level of connection to the food which is often absent from fine dining experiences. 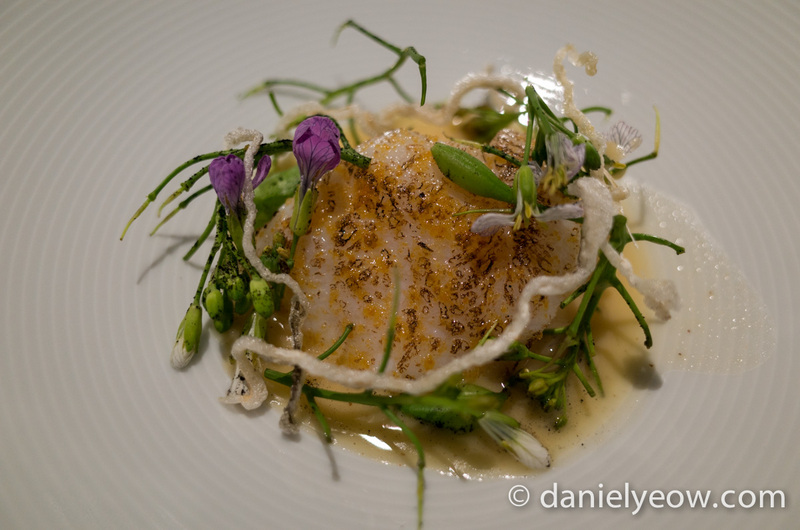 Honestly, I don’t understand why neither Geranium or Noma have three Michelin stars. In the past I’ve dined at three star restaurants and questioned the rating, but here I question the rating of only two stars. 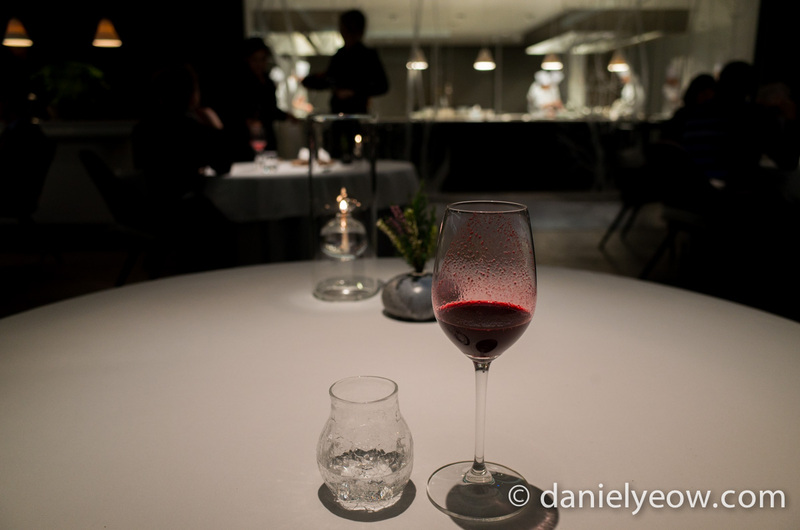 Indeed many Copenhagen foodies consider Geranium to be the equal of Noma, and while I don’t quite agree, it is certainly in the same league. Highly recommended – book early, tables fill up quickly.